Each coil is individually wrapped and works independently from one another allowing a more precise support to each body. Additional coils are added in the center third where support is needed most. Motion transfer is minimized allowing you to sleep undisturbed. The Energie Double Sided PT Full Two Sided Pillow Top Mattress and 9" Wood Foundation by Golden Mattress Company at Rooms Furniture in the Houston, Sugar Land, Katy, Missouri City, Texas area. Product availability may vary. Contact us for the most current availability on this product. The Energie Double Sided Pillow Top Mattress is an affordable quality mattress. Featuring a 3-Zone, individually encased pocketed coils with full foam encasement, which means you'll get individualized support as each coil adjusts to your body, with additional support in the middle third. 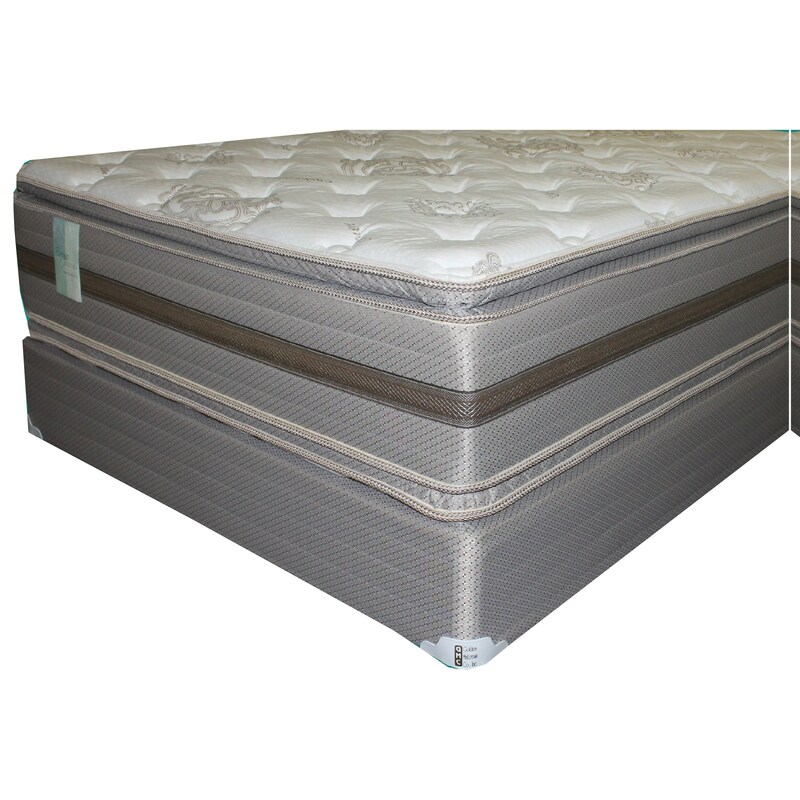 The solid foam edge means you'll have more mattress surface that is usable. With added plush foam to create a super soft feel, on both sides of the mattress, will allow you to get a good nights rest, at a very affordable price. This would be a good mattress for a back or side sleeper. The Energie Double Sided PT collection is a great option if you are looking for Mattresses in the Houston, Sugar Land, Katy, Missouri City, Texas area. Browse other items in the Energie Double Sided PT collection from Rooms Furniture in the Houston, Sugar Land, Katy, Missouri City, Texas area.